Terra Group received site plan approval for the first 10-acre portion of its planned mixed-use project in Pembroke Pines — a retail development to house three national tenants in 135,000 square feet, plus 20,000 square feet of restaurants — to be called Pines Market, with the opening set for late 2018. The development is slated for 16000 Pines Boulevard, a site currently occupied by a post office and a postal distribution center. The Pembroke Pines Planning and Zoning/Architectural Review Board approved the site plan at a meeting late Thursday. 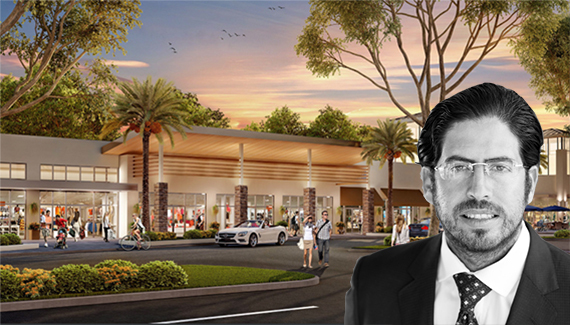 “The approval of Terra’s phase one site plan for a mixed-use development [in Pembroke Pines] opens the door to up to 135,000 square feet of new retail development that will welcome three best-in-class national tenants and 20,000 square feet of restaurant space,” Terra President David Martin said in a statement. He said Terra expects to close on the purchase of the property in the first quarter of 2017, with an opening set for late 2018. 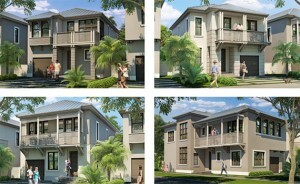 A second phase of more than 120 single family homes is also planned, he said. In January, the Terra Group signed a contract with the city of Pembroke Pines to buy the 27.4-acre development site for $23.5 million. The city purchased the site from the US Postal Service roughly a year ago for $17.8 million. Terra Group said it will buy the site in two phases: it will first pay $9.2 million for the 10-acre portion that is slated for commercial development. Later, Terra will buy the larger site, on which it will build homes, for $14.3 million. Roughly five miles to the east, Terra is building an even larger mixed-use development called Pines City Center. Anchored by Publix, that 47-acre project will have 200,000 square feet of retail space in its first phase and another 100,000 square feet in its second, as well as 385 rental apartments.